Betting websites were all but draping the winner’s blanket around Classic Empire when it was announced that the favourite to win the 2017 Belmont Stakes will miss the 149th running of the Test of the Champions as a result of an abscess in his right front hoof. People who have read a certain Horace McCoy novel have nothing to worry about, though. Empire finished 4th in the Kentucky Derby and 2nd at the Preakness Stakes, and was projected to finally win in Belmont Park. Unfortunately, not even having four horseshoes can change this colt’s bad luck. This turn of events has forced betting websites to update their oddsboards for Saturday, with the result that Lookin At Lee is now the new fave to win the race followed by Epicharis, Irish War Cry, and Senior Investment. Lee came in 4th at the Breeders’ Cup Juvenile and was entered in the Triple Crown Trail following a 3rd place at the Arkansas Derby which earned him Road to the Kentucky Derby points. Lookin’ At Lee drew the No. 1 post in the Run of the Roses and placed second behind winner Always Dreaming. Having failed to win the customary rose blanket, Lee was poised to upset AD’s Triple Crown chances at Pimlico and did finish ahead of him though he didn’t win either. Epicharis is of course the Japanese-based sensation that everyone is talking about. Irish War Cry picked up in 2017 right where he left off in 2016, winning the Holy Bull Stakes before stumbling at the Fountain of Youth. Nevertheless, IWC has won four of six starts – including the Wood Memorial. This horse is the son of Curlin and his maternal line includes Pretty Polly, an Irish racemare who won the English “Triple Crown” for fillies, and was known to race against and defeat males. Finally, Senior Investment finished 6th in the Louisiana Derby but his connections decided to skip the Kentucky Derby and have him run the G3 Stonestreet Lexington Stakes – which he won. In addition to that, he finished 3rd in the Preakness Stakes. 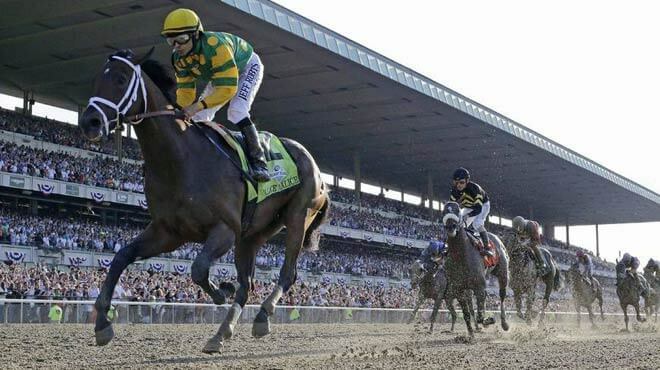 Betting websites have seen prospective favourites such as Always Dreaming and Cloud Computing bow out of the Belmont Stakes for different reasons, leaving a field of 12 colts from which to pick.